Trellising fruits and vegetables is a long-practiced gardening technique that not only keeps plants off the ground, but improves production and increases usable space. It also prevents your harvest, particularly tomatoes, from rotting when hidden deep within the plant or when sitting directly on the soil. There are nearly as many trellising options as there are varieties to grow. The trick is finding—or building—the most practical one for your needs. Most tomato varieties benefit from strong support. Deciding the best way to keep unruly plants in some semblance of order depends on the tomato variety and its growth patterns. Determinate tomatoes are mid-sized plants that grow to a fixed mature size and ripen all their fruit in a short period; they will benefit from a little boost off the ground in the form of stakes or cages. Indeterminate varieties continue to grow all season, with fruits ripening until the plant is killed by frost; these do well trained on a trellis system. Use metal posts or one-inch square wooden stakes (do not use treated wood) that are at least 4 feet tall for determinate varieties, or 5 to 7 feet tall for indeterminate plants. Set the tomatoes 2 to 3 feet apart and stake when plants are young. Drive the posts at least one foot into the ground approximately 3 to 4 inches away from the plant. Loosely tie the plant to the stake with sections of old nylons, ribbon or soft twine. You might need to bind branches later in the season if they become unruly, but keep ties loose at first so as not to bruise young stems. The simplest trellising system uses uprights fastened together with a top support bar. The tomato cages found in most garden stores offer slightly more control than stakes and are fairly easy to place. Their primary drawback is not being terribly durable. The lightweight types bend easily and look mangled after the first season. Be sure to choose a size, typically 18 inches wide at the top, with a wire gauge thick enough to last more than one season. Place the cages over the tomato seedlings and train the plants to stay within the cage as much as possible as they grow. Unfortunately, larger tomato plants will quickly engulf the entire cage, at times completely negating any positive benefit. Trellising tomatoes might seem like a lot of work, but the results are well worth the effort. Indeterminate varieties often reach enormous heights in warm climates, making them completely unmanageable. Trellising controls the branches, allows sunlight to penetrate deeper into the plant and keeps the fruit clean. In addition, trellising allows you to plant closer together, creating a more efficient use of space. Drop garden twine from the horizontal support and stake it next to each plant so the tomato can use the string for support. Depending on your climate—which plays a significant role in how large your tomato plants will grow—use 2” x 2” wooden stakes that are 6 to 8 feet long for your uprights. Sharpen them on the bottom and drive them one to two feet into the ground—the deeper the better—approximately 5 feet apart. Place a 2” x 2” horizontal bar across the top and screw it to the upright. It’s a good idea to pre-drill a small hole in each upright to prevent splitting. Attach garden twine above each plant, set roughly one foot apart. Keep the string loose and stake it next to each plant. As the plant grows, loop the string around the supporting branches, or lightly tie the plant to the vertical twine to keep the branches trained along the main course. Honey Grape: Delicious, bite-sized fruit. Super Sioux: Mid-sized, 4- to 6-ounce fruit produces well until a hard freeze. Rutgers: This 5- to 7-ounce tomato is excellent for canning. Big Boy: These tasty, crack-resistant tomatoes can reach one pound. Brandywine: This is a 10- to 16-ounce favorite with lots of flavor. Early girl: Popular, early maturing variety with 4- to 5-ounce fruit. Kentucky Wonder: A 6- to 8-foot, long-time favorite. Black-seeded Blue Lake: A 6- to 8-foot, stringless and vigorous grower known for excellent flavor. Kentucky Blue Pole: A 6- to 8-foot, hybrid of Kentucky Wonder and Blue Lake. Scarlet Runner: An 8- to 12-foot variety; crimson-red flowers are edible, as well as the beans themselves. Scarlet Runners are ideal for kids’ forts. Sugar Snap: A 4- to 5-foot, long-time favorite of sweet, early peas. Tall Telephone: Great for canning and freezing, as well as for eating out of the garden. Moon and Stars Watermelon: Unique looking, 25- to 30-pound watermelon with dark pink flesh. Sugar Baby Watermelon: A 6- to 10-pound fruit. Blenheim Orange Muskmelon: These 2-pound melons mature early. Delicious 51 Muskmelon: A 5- to 6-inch around, 3-pound fruit. Marketmore 76: An 8- to 9-inch slicer. Armenian: Looks like a cross between cucumber and melon, best eaten when it’s around 12 inches long. Jack-Be-Little Pumpkin: More ornamental than edible, but cute as a button. Patty Pan Squash: The saucer-shaped squash is a prolific producer. Zucchini Jackpot Hybrid: Early summer squash starts producing in approximately 50 days. Pruning determinate varieties isn’t a must—that’s the beauty of their growth patterns. Removing suckers (extra shoots where the branch joins the main stem) could improve tomato production, but it’s not necessary. Indeterminate tomato varieties need more guidance. The key to pruning an indeterminate trellised tomato is training it up the twine and keeping it from bushing out. Concentrate on improving the main stem by removing suckers along the sides and maintaining side branches to a productive length just past the blossoms. If the tomato begins to outgrow the trellis, pinch off the main stem above any flowers. Pole beans and peas can often reach well over 6 feet tall and are typically trellised. 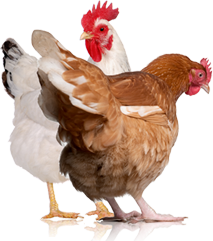 Their support can be as simple as a teepee made from willows or poles, a metal hog panel attached to metal fence posts or wooden uprights with chicken wire stretched between them. Choose a system based on the growing habits of your chosen variety. Use eight poles roughly 5 to 6 feet tall. Taking two at a time, push the ends at least 6 inches into the ground and tie them at the top as you go. If you’re fashioning a kids’ teepee, leave the spacing between two of the poles large enough for a youngster to squeeze through without bruising the stalks. Secure the entire structure at the top with raffia or garden twine. Plant the beans 2 inches apart on the outside of the teepee. Train them to stay within the shape of the teepee by loosely tying raffia or twine mid-way up the arrangement. Cucumbers don’t require a heavy-duty trellis; hog panels, string mesh or chicken wire work well. Construct the system before planting. Space cucumber seeds or plants on either side of the trellis approximately one foot apart. You can keep them closer because they benefit from the greater exposure to sunlight and they aren’t as susceptible to disease from overlapping foliage. The cucumbers also grow straighter when trained to grow vertically and are easier to find and harvest. Since zucchini are best used when they’re smaller than 8 inches or so, growing them vertically makes them more visible to pick when they’re the perfect size. Be sure to give them a sturdy support because the heavy vines can pull down less-durable structures. Hog panels between the metal fence posts or the chicken wire trellis work best. Plant the seeds or plants two feet apart and train the vines as they grow. You may have to loosely tie the plants up the structure as they develop, which will also help the plant support the zucchini fruits as summer progresses. Stagger the melon or pumpkin plants 36 inches apart on either side of the trellis. As with the others, train the vines as they climb, adding loose reinforcement with garden twine or thin cloth when necessary. Depending on the size of the variety, some gardeners use cloth or old nylons as a sling underneath the developing fruit to add a little support and to prevent the fruit from dropping off. Climbing through berry brambles as a child may have been an adventure, but it loses its appeal when your primary goal is gathering gallons of berries to preserve. Trellising blackberries, boysenberries, raspberries and blueberries can resolve this issue, as well as allow berry growers to utilize intensive growing practices. Upright varieties need very little support, if any, but the trailing species need to be kept under control for optimum production. A simple method involves setting stakes on either side of the berry patch at 8-foot intervals to hold up plants with heavy garden string or wire. Do this while the plants are still young or have been recently pruned. There’s nothing like wrestling thorn-covered brambles when they’re fully grown. Permanent wooden cross-ties instead of wire can also be used. A similar trellis system works well for blueberries, but it must be sturdy as the bushes become heavy as they mature. In addition, a study at Oregon State University demonstrated that trellising this crop allows growers to plant them a foot and a half instead of 3 feet apart, allowing more plants per acre and increasing production. Fruit trees thrive under the specialized trellising style of espalier, the centuries-old French practice of growing woody perennials in artistic shapes through careful pruning techniques. Typically grown along a backdrop, this space-saving, two-dimensional method is something any gardener can do. Besides being visually interesting throughout the season, there are myriad benefits to using this style to grow fruit trees. “By using espalier, the grower obtains the most fruit possible in a small space,” says Katherine Joy Aby, president of the Espalier Society. “The fruit is carried throughout the plant, not just on the outer third of growth as in an orchard; this mean better fruit yields per square foot.” This is particularly useful for urban growers working with limited space. The other positive aspect in keeping the tree small is eliminating the need to climb ladders to prune or harvest, allowing you to pick all of the fruit instead of leaving the top-most ones. Aby notes that because of the additional protection of espalier, gardeners can grow “fruit in a climate that is colder than the plant’s usual preference,” extending the growing season and protecting the tree from drying winds. It might appear intimidating at first, but basic espalier techniques are fairly simple. Water well and keep watered until established. Be sure to protect the trees from hungry rodents or deer. Use the same preventative sprays or techniques you would use on any other fruit tree. When pruning, it’s not necessary to use a salve on the cuts. Shaping an espalier requires a permanent framework, which can be a wooden frame, a fence or the wall of a building, and training supports that are removed once the branch has grown to its full length. The traditional espalier shape, where branches or scaffolds grow horizontally out of one central trunk, is a good way to start. Wire the young branches to bamboo supports to keep them growing in the proper direction. Aby recommends developing the scaffolds first. The initial effort of staking or trellising fruits and vegetables might seem like a lot of extra work when you’re busy with other springtime chores, but when it comes time to harvest, you’ll be happy you did it. 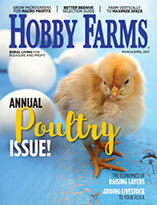 This article first appeared in the Summer 2007 issue of Hobby Farm Home magazine. 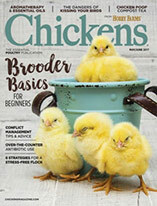 Pick up a copy at your local bookstore or tack and feed store or buy one online.